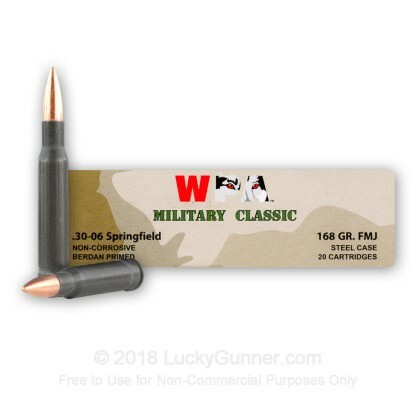 This 30-06 Springfield ammunition from Wolf is an excellent low-cost option for target shooting. 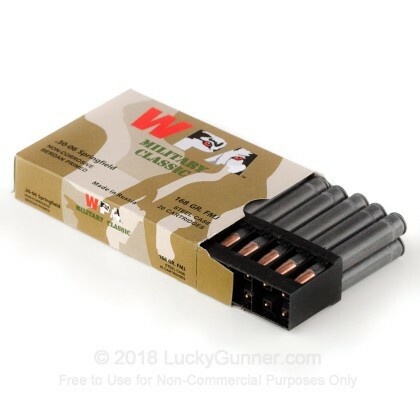 Each cartridge in this box of 20 fires a 168 grain full metal jacket bullet. The most notable feature of this ammunition is its steel case. 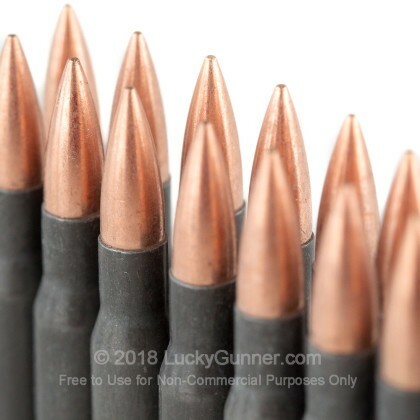 Steel is much less expensive than brass and makes this ammo much more economical to shoot in high volumes. On the downside, steel cases are not reloadable. As FMJ ammunition, these cartridges are ideal for target shooting but should not be used for hunting. They are loaded in Russia and use non-corrosive Berdan primers. 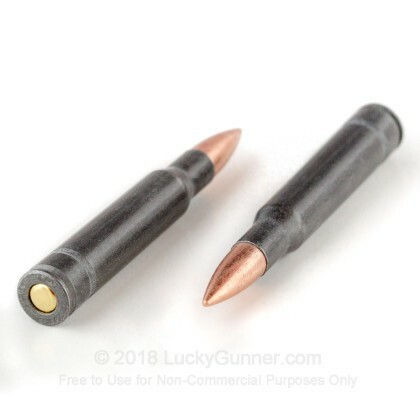 The steel components of this ammo make it unsuitable for some indoor ranges, although this is not a major concern with the .30-06. Wolf is an importer of ammunition from all over the world, most notably Russia. 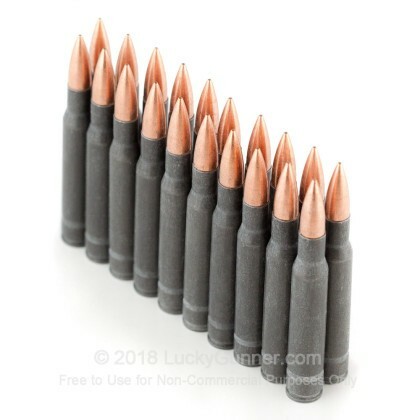 Wolf steel-cased ammo differs from some other brands in its use of polymer coatings, which reduce friction and produce better reliability without the fouling and buildup associated with earlier lacquer coatings. 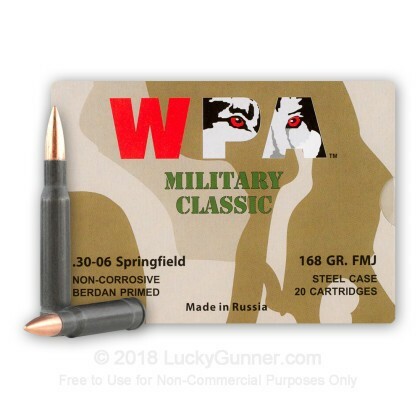 We also have this 30-06 - 168 Grain FMJ - WPA Military Classic - 500 Rounds ammo in stock in a bigger quantity.